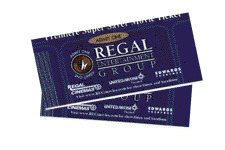 Two movie tickets on Du Fresne's! If you send your friends, family and or co-workers to us, we will send you to the movies. Just make sure that they give us your name when they come in to have work performed. You are probably asking yourself why am I doing this? Well, let me tell you why! We have found that our best customers have been referred to us by our customers. So that is why we want to send you to the movies each time you refer a new customer to us.